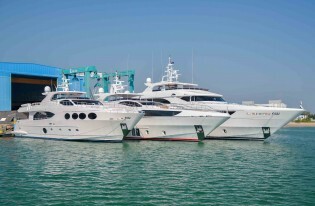 Three Majesty superyachts launched by Gulf Craft in one week – Superyachts News, Luxury Yachts, Charter & Yachts for Sale. 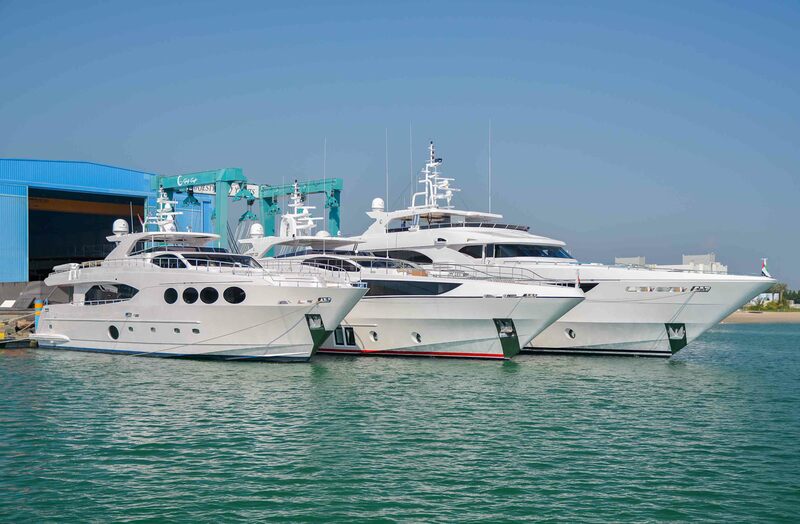 The UAE-based builder will be officially displaying the superyachts at three major events – the Kuwait Yacht Show, which will be held from 3-7 February 2015 in Kuwait City, the Dubai International Boat Show, which is taking place on 3-7 March 2015, and the Singapore Yacht Show, which will be held from 23-26 April 2015. The three Majesty Yachts are the latest additions to Gulf Craft’s line of luxury fly-bridge superyachts. The Majesty Yacht brand combines style and elegance with sophisticated technology to create the epitome of truly royal cruising. The triple launch is the latest illustration of Gulf Craft’s commitment to innovation and high-quality engineering. Every yacht is personalized, taking into consideration the needs and requirements of each client. From intricate interior design, including paint, gold-leaf, and hand-crafted wood paneling, to overall layout, Gulf Craft offers premium quality in every aspect of the vessel structure and design. “What we do is more than build boats and yachts; it is essentially designing and developing works of art. Every feature of the vessel is created in our factory, ensuring that all facets meet our high-quality standards, and allowing clients to customize their yacht according to their requirements,” Bamps said. Gulf Craft is investing USD 100 million over the next five years in developing a world-class facility for the manufacturing of mega and superyachts at Dubai Maritime City.